Each November, Gettysburg commemorates the establishment of the Soldiers’ National Cemetery on Remembrance Day following the Battle of Gettysburg in 1863, which dedicated 17 acres to bury more than 3,500 fallen Union troops. President Abraham Lincoln arrived in Gettysburg by train on November 18th to attend the dedication ceremony for the cemetery the next day. There he delivered the Gettysburg Address, which eloquently honored those who fought and died at Gettysburg and continues to be one of the most revered speeches in American history. 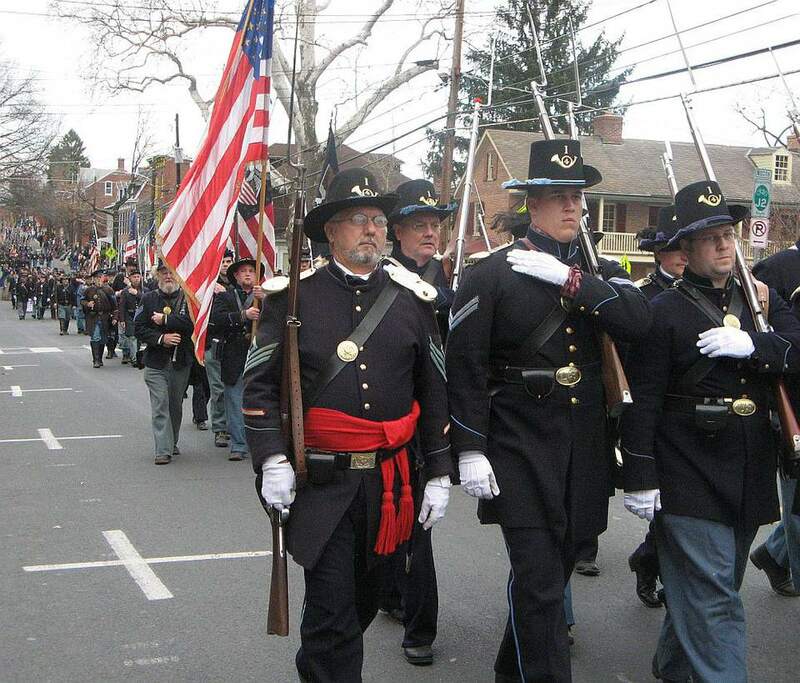 The event allows Gettysburg residents and visitors to commemorate the sacrifices made during and after the battle. These events are free and open to the public. Remembrance Day Parade - November 17, 2018, 1:00 p.m. Downtown Gettysburg, Lincoln Square. The parade features Civil War living history groups. The Parade Route starts on LeFever Street, goes west on Middle Street, over to Baltimore Street and then onto Steinwehr Avenue.The best place to watch is at the corner of Baltimore and Steinwehr Avenue. Annual Remembrance Illumination - November 17, 2018, 5:30-9:30 p.m. Gettysburg National Military Park Museum and Visitor Center, 97 Taneytown Road Gettysburg, PA. The ceremony features the lighting of a luminary candle on each of the 3,512 Civil War soldier's graves. Names of the fallen soldiers will be read throughout the evening. Dedication Event - November 18, 2018, 10 a.m. the anniversary of the Gettysburg Address and the Dedication of the Soldiers' National Cemetery, was formally designated as Dedication Day, by a joint resolution of the U.S. Senate and House of Representatives in 1946. This annual event features a wreath laying, keynote speaker and is sponsored by the Lincoln Fellowship of PA, Gettysburg National Military Park, Gettysburg College, and the Gettysburg Foundation.